International tourism security expert Dr Peter Tarlow (third left) engages members of the diplomatic corps, Senior Tourism officials and Global Rescue representative in conversation following a meeting at the Ministry of Tourism’s New Kingston office on January 08, 2019. Sharing in the moment are (from left) British High Commissioner to Jamaica and The Bahamas, Asif Ahmad; CEO of Global Rescue, Dan Richards; Executive Director of the Tourism Product Development Company, Dr Andrew Spencer; Minister of Tourism, Hon. Edmund Bartlett; High Commissioner of Canada to Jamaica, Laurie Peters and the US Embassy's Chargé d'Affaires Eric Khant. A tourism security audit is currently underway to identify gaps and ensure that destination Jamaica remains safe, secure, and seamless for visitors and locals alike. The aim is to construct a new architecture for tourism ethics and visitor safety. The audit is being done in conjunction with the Tourism Product Development Company (TPDCo), PriceWaterhouseCoopers Senior Partner Wilfred Baghaloo, and international tourism security expert Dr Peter Tarlow. Dr. Peter Tarlow is leading the new eTN Travel & Tourism Safety Training Program, a partnership between Tourism & More and the eTN Group. Tourism and More has been working for over 2 decades with hotels, tourism-oriented cities and countries, and both public and private security officers and police in the field of tourism security. Dr. Tarlow is a world-renowned expert in the field of tourism security and safety. He leads the eTN Travel Security and Safety Training team. For more information, visit travelsecuritytraining.com. Dr. Tarlow has created innovative ideas regarding tourism surety – the point where safety and security meet economic development and reputation. In his meetings on Jamaica, Dr. Tarlow has discovered that in this island nation, they are very much open to having a dialogue about tourism security. Jamaica Tourism is not going to remain satisfied with past success, but is carving a path forward to address the future of Jamaica’s tourism industry. 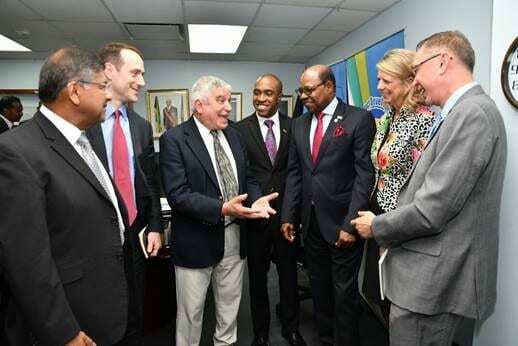 This particular meeting, which also included members of the diplomatic corps and the Jamaica Constabulary Force, took place at the Ministry of Tourism’s New Kingston office on January 8, 2019. The security audit is to be completed by the first half of 2019. 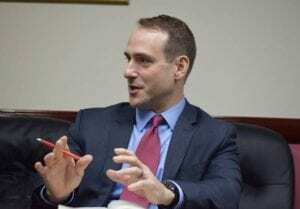 Dan Richards, CEO of US-Based Crisis Management Firm Global Rescue, explains his company’s proposed plans to assist Jamaica in the tourism security audit. During the meeting, Global Rescue shared their preliminary proposal to assist Jamaica with the security audit as well as plans to assist with the development of the Global Tourism Resilience and Crisis Management Centre, which will be launched later this month in Montego Bay. The security audit is to be completed by the first half of 2019. Racism? How Honolulu Police Officer Chin Stole Christmas from a Disabled White Tourist?